At the beginning of last week, the TripActions team attended ACTE Global Summit in Chicago to learn more about what’s current and trending in the world of corporate travel. We saw a passionate crowd of travel industry professionals — both buyers and suppliers — all eager to share, learn, and network. And you could feel how excited everyone was to be there — notebooks and pens were out, questions were posed, and animated conversations were buzzing throughout the InterACTE expo area. The overarching themes ACTE focused on throughout the event were leadership, innovation, business intelligence, and operations, and these topics presented themselves in a variety of relevant ways. For example, attendees learned how to get stakeholder buy-in for their travel programs, as well as how to adopt a digital strategy to improve the traveler experience. Below, we highlight some of the interesting, exciting, and surprising insights and ideas we brought home from the conference. Program success ties back to data. Monday morning kicked off with an overview of just how much data is out there in the universe these days. “We’re in the middle of a data explosion,”said Salesforce Industries GM Taimur Khan. What does this mean for travel buyers? By collecting data on your travelers’ journeys and then applying AI to better understand their habits and preferences, you can anticipate needs and eliminate friction to provide a great end-to-end experience. The ultimate goal of collecting this data is to serve travelers whenever and wherever it's needed, with relevance and consistency. This ensures they can remain productive while also enjoying a great employee experience. And remember that no two business travelers are alike — by segmenting and personalizing the experience, you get travelers to adopt and adhere to your program and policies. Which means you as the travel manager can prove ROI and see the direct tie of employee travel to business outcomes. Said Khan of this new era, “For the first time, with data, the travel industry is improving the employee experience around the world.” And it also ties back to the suppliers, who are supporting both the travelers and their companies, creating a shared experience across an entire ecosystem driven by data. By collecting and analyzing traveler data at scale, you’ll drive more value for your travelers, and in turn, inspire more loyalty to both your program and the organization. But you also need to make the right connections. Data doesn’t mean much if you can’t use it to make better connections, both technically and in your professional relationships. A panel session on APIs as the new way to connect with your suppliers talked through the benefits of interconnectedness: better, higher quality data gives travelers a more seamless travel experience, which results in reduction of costs and improved duty of care. One leads to the other leads to the other, stemming from the richer experience of content provided by the evolution of APIs. Buyers need to learn how to connect the dots to offer the suppliers that are best for their business, and ultimately become ‘curators’ of the traveler experience by knowing what to display and manage within their programs. Ultimately, APIs help travel managers avoid mining for data that’s coming from various sources by connecting the information all in one place. Making connections to optimize program and organizational operations took a cross-functional turn as well. During an audience Q&A session on Tuesday, experienced meetings and travel consultant Meredith Smith told travel managers in attendance that if they weren’t already, they should consider how their programs connect to the HR department, and specifically to employee retention. “Why aren’t you measuring the cost to the company if a road warrior leaves because you’ve worn them down?” she asked. Bringing HR in as a stakeholder helps minimize costs and maximize productivity in other areas of the business. 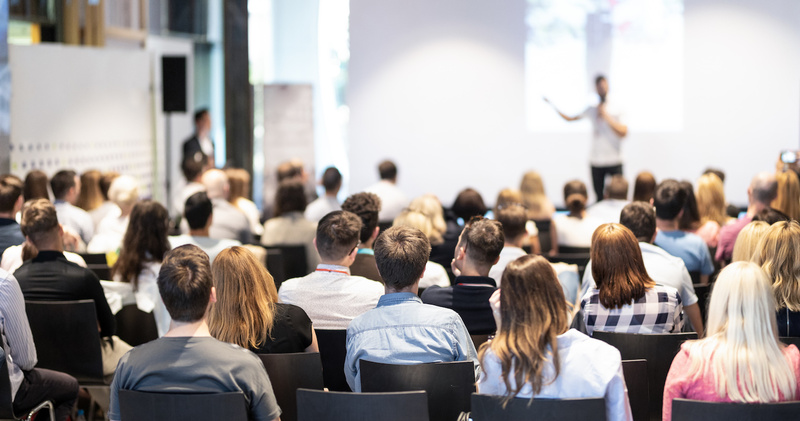 The conversation also turned to what it could mean to connect meetings and events with travel: If you integrate the two programs, you get better data, and if you have better data, you gain the visibility you need optimize both programs overall. We also learned why it’s important to connect your travel program with the organization’s overarching goals, and demonstrate its impact to gain your seat at the decision-makers’ table. A panel on how to build a business case for changing your travel program strategy talked about how to best align with stakeholders to implement positive change, leaning heavily on the use of measurement and KPIs to assess how things are going, show the results of your efforts, and recalibrate where necessary along the way. Later, we’ll dig into what we learned about traveler experience and digital transformation at this year’s ACTE Global Summit. Check back in with us on the blog, or learn even more by connecting with one of our travel experience experts.